Our Cooperative was formed during the time when Polish national economy was at its worst since it had regained independence in 1918. The difficult socio-economic situation, which also affected apiculture, was strongly linked to the idea and practice of cooperative activity. Its origins date back to 1842, and are associated with poor British weavers from Rochdale, England, who founded the first consumer cooperative. Indeed, it was poverty which brought people together in a joint effort to make their way in the world by operating a type of business which came to be known as “a cooperative”. The idea spread like wildfire and left its mark on many economies across Europe. After 1920, beekeepers established various associations, building on those 19th-Century organisational role models, and launched business initiatives to facilitate honey sales. 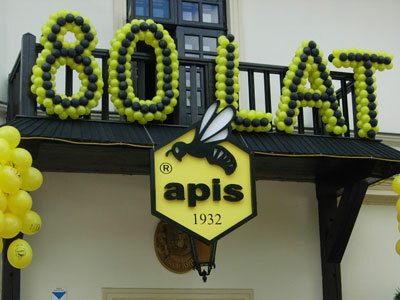 It is estimated that the first efforts to establish the Cooperative were made by local beekeepers in 1925, but these were initially limited to soliciting support among the members of the Province Farmers’ Union Association and the Chamber of Agriculture in Lublin. The mobilisation of beekeepers brought satisfactory results and on 18 May 1932 the fifteen founding members of the Cooperative attended its first organisation meeting and decided it would operate as “The Beekeepers’ Association”. The meeting adopted its Articles of Association, whose Article 3 defined the following orientation. “The purpose of the Cooperative is to improve the well-being and condition of the apiaries of its members, and to work together for their cultural development”. From the very beginning, cultural and educational aspects played an important role in the cooperative movement. “The Cooperative has morally and financially contributed to cultural and educational efforts”.